Inevitably this province is overlooked and under-birded. 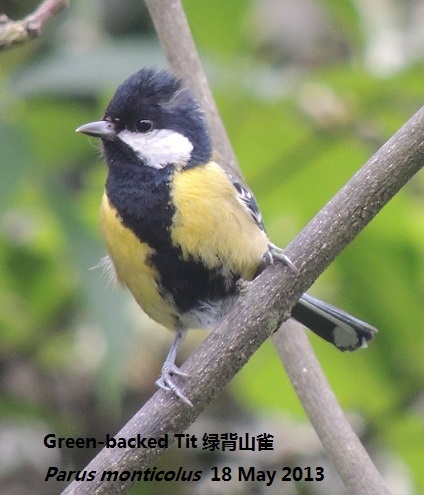 Trying googling birding trips for Guizhou and you will find almost nothing. Guizhou is usually lumped as being part of south-west China and less interesting as an area than either Yunnan or Sichuan. This is unfortunate and incorrect. Key species include: Cabot's Tragopan, Black-necked Crane, Common Crane. There were 28 reserves as of 1996 but more have been designated since then. Cao Hai is a famous freshwater lake in the far west of the province. Fan Jing Shan is the highest mountain in the east and supports the only known population of the Grey Snub-nosed Monkey Pygathrix brelichi as well as Giant Salamander. The province is rugged and difficult to traverse. The majority of the area is covered by the Guizhou plateau at an altitude of 1000-1400m and broken through by numerous river valleys, tributaries of either the Yangtze or Pearl rivers. Rainfall decreases towards the west. In the south-east the vegetation is typically sub-tropical whereas in the north and west it is more commonly temperate. Like most provinces the easiest way to get there is to fly to the capital and then travel overland out to the peripheral mountain areas. Transport links with Guizhou are less developed than many other provinces so be prepared to take longer to get to where you are going. Guiyang has an international airport and there are daily flights from Shenzhen for example as well.